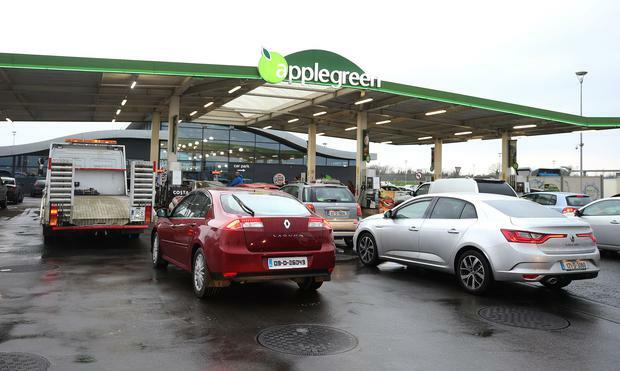 Applegreen's former chief financial officer Paul Lynch received €444,000 when he left the forecourt retailer last year, according to the group's annual report. Mr Lynch, who had been with the company for about three years, was also treated as a good leaver in respect of the company's share plans. The executive joined Applegreen as it geared up for its 2015 stock market flotation and played an instrumental role in that process. He previously worked with a diverse range of companies, including One51, the Grafton-owned Heiton Group, and ISS Facility Services. Last autumn, Mr Lynch exercised one million share options in Applegreen, at a time when its shares were changing hands at about €6 each. Yesterday, Applegreen's shares were trading at €6.30. As well as his €444,000 payment, the Applegreen annual report shows that Mr Lynch received remuneration of €269,000 for the first six months of 2017 That included a €49,000 bonus. "In accordance with contractual entitlements and legal obligations in Ireland, Mr Lynch received €444,500,"noted the annual report in respect of his departure. After he left Applegreen, Mr Lynch was appointed a non-executive director of Core Industrial, a company that intended to float on the stock market as a real estate investment trust (REIT). However, the planned €225m flotation was pulled in March. Applegreen's annual report shows that neither CEO Bob Etchingham nor chief operations officer Joe Barrett were paid bonuses last year.